As a hand-washing obsessive, my hands are often really dry, particularly in these colder months. I am constantly trying and buying various hand creams. 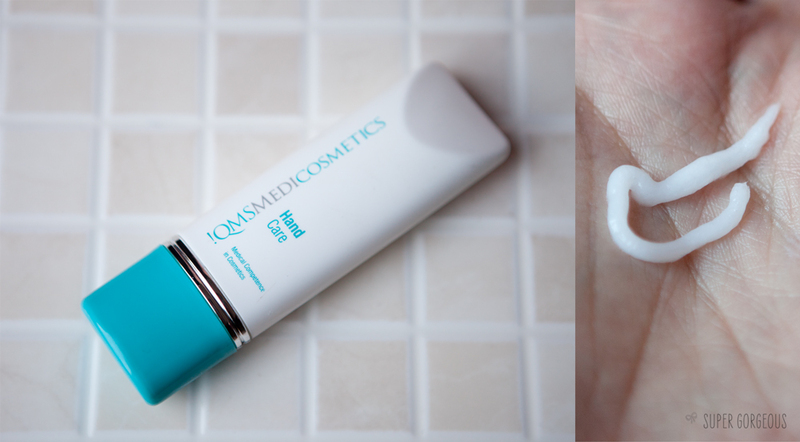 One of my favourites at the moment is QMS Medicosmetics 'Hand Care' - it's not called a cream, and I guess I wouldn't really call is a cream either - it's really hard to describe the consistency - it doesn't spurt out of the tube like a cream, it comes out as a thick squiggle like a paste. It smells delicious; a gentle clean smell, but the best thing about Hand Care is that it sinks into the skin immediately leaving no greasy residue. You can literally apply it and get on with whatever it was you were doing without having to worry about leaving hand prints anywhere or getting anything stuck to you! My hands are gorgeously soft - this is definitely going on my favourite hand creams list!